Eyebrow is a trumpet and drums duo based in Bristol, UK, formed in 2009. Its music evolves out of improvisations which are reassembled into structured pieces with an unexpectedly cinematic sweep, like journeys through slowly-changing landscapes. New for 2019: the band is currently working on material for a sixth album, called “Track Record”, in collaboration with poetry collective The Spoke, and inspired by the railway line that runs between Bristol and Severn Beach. Supported using public funding by the National Lottery through Arts Council England, with additional funding from Severn Community Rail Partnership and A Forgotten Landscape, this project will culminate in a live performance as part of the Severn Beach Festival on July 13th. 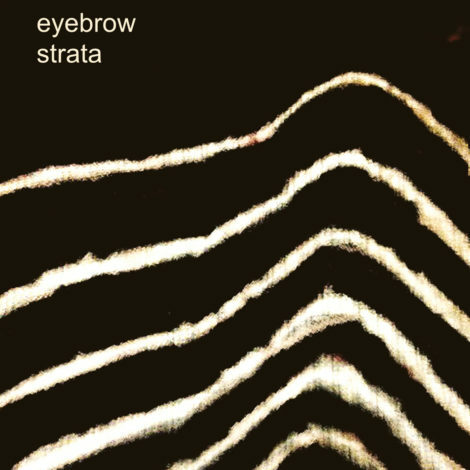 The band’s 5th album, Strata, was released in October 2017, and has been featured on BBC Radio 3’s Late Junction and BBC 6Music’s Freak Zone.